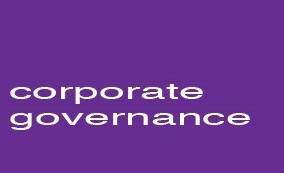 The sector is evoling and changing and during late 2018 CPI welcomed the publication of the Charity Regulators new Code of Governance. During 2019 the Regulator is providing a suite of guidance to assist charities to meet the incoming core standards as outlined in the code and throughout 2019 CPI will ensure that we are prepared and comply fully. Chronic Pain Ireland (CPI) is committed to good corporate governance, high ethical standard and the principles of transparency and accountability. We know that people, including our members, donors and the public, place their trust and faith in us and we strive to ensure we never let them down. ​CPI’s Governing Body are made up of unpaid volunteers many of whom have chronic pain. Nominations to the Governing Body are invited each year in advance of the AGM. CPI employs one office administrator who manages the day to day workings of the organisation. The above grant covers the cost of our part time administrator and the cost of office rent. CPI also receives a small amount of revenue from our membership fees and members fundraising efforts. All monies raised go directly towards the provision of support services and running of our health management / self-management programmes. Please see our Donor Charter (below) for information on how we hold ourselves accountable for all donations we receive. ​In addition to statutory requirements and those of signatory organisations, Chronic Pain Ireland has identified a principles based Code of Ethics that has been endorsed by our governing body and is available here. Please note this Code of Ethics applies in addition to, and is not limited by, adherence to any external organisation’s code of conduct or governance code. The purpose of Chronic Pain Ireland committing to the voluntary Fundraising Codes of Good Practice is to prove to our members, donors and the public at large that we are willing to go beyond the strict legal requirements concerning donations, finances, transparency, reporting standards and governance. We believe the Fundraising Codes of Good Practice reflects the high standards that we expect of ourselves. ​Chronic Pain Ireland is in receipt of Pobal SSNO grant scheme which we ring fence for specific purposes. As such, we adhere to all Pobal and public funding requirements and are subject to Pobal oversight, regulation and auditing. For full details of all Pobal requirements, please see their website at www.pobal.ie. ​For full details of accounts, including accountancy practices, please the Finance section out our website. Chronic Pain Ireland is firmly committed to ensuring personal privacy and compliance with the Data Protection Acts and the General Data Protection Regulation (GDPR) including the provision of best practice guidelines and procedures in relation to all aspects of Data Protection. Note: We do not sell or share any personal data with any 3rd parties such as marketing companies, etc.